Amino AcidsOptimum Nutrition Superior Amino 2222 - 160 tabl. Concentrated source of branched chain amino acids. Branched chain amino acids build approx. 1/3 of skeletal muscle mass, they have anticatabolic effect, and play an important role in muscle protein synthesis. It contains caffeine! Optimum Nutrition Superior Amino 2222 - 160 tabl. High-grade amino acids in the form of tablets. Positive impact on the regeneration of the body, reduce catabolism and provide excellent building blocks for your muscles. 69 loyalty points Your cart will total 69 points that can be converted into a voucher of 2,76 PLN. 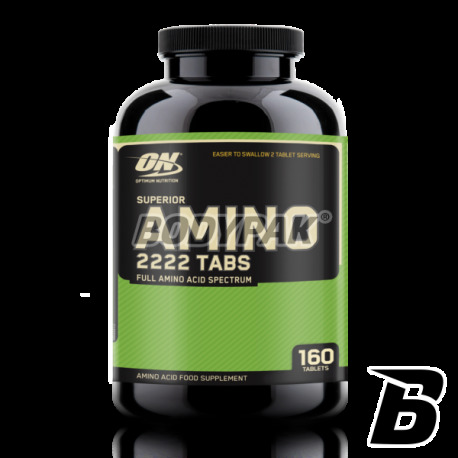 Optimum Nutrition Superior Amino 2222 - 320 tabl. 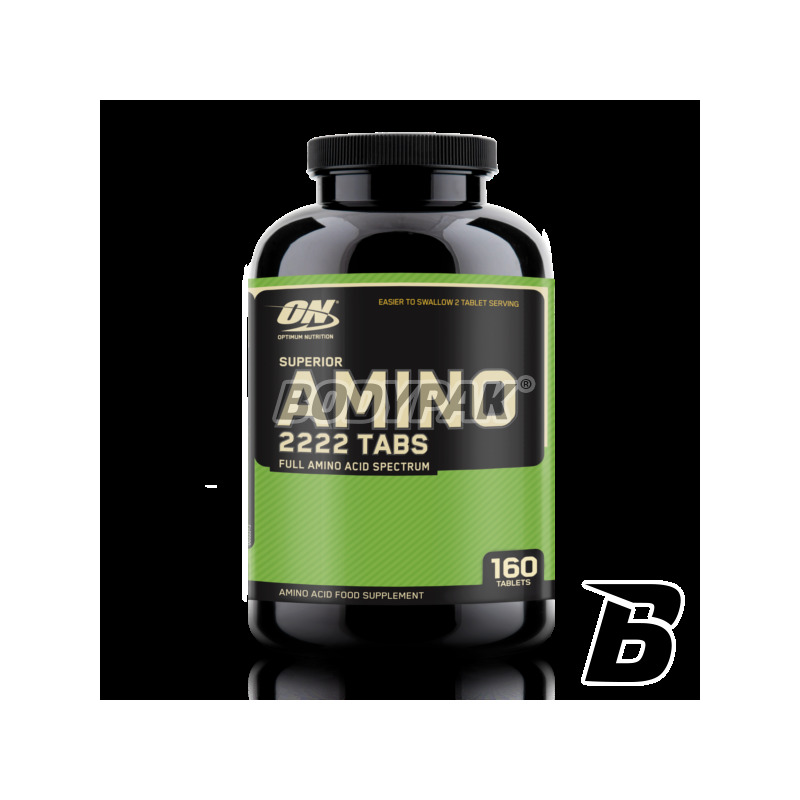 ON Amino 2222 they have been designed for maximum absorption in muscle tissue. Amino acids are highly effective source of pure amino acids in the form of peptide bonds. Suitable for immediate absorption Amino 2222 is the optimal amino acid supplement for rapid recovery and muscle growth. The use of ON Amino 2222 keeps the body in a state of positive nitrogen balance which protects muscles from so called. Catabolism or decrease their volume and density. 2 Tabl . 3 times a day. Składniki: mieszanka protein (serwatka w proszku, koncentrat białek serwatki, izolat białek sojowych, peptydy serwatki), kwas stearynowy, kroskarmeloza sodu, mikronizowana mieszanka aminokwasów (l-leucyna, l-izoleucyna, l-walina, l-glutamina, l-arginina), dwutlenek krzemu, lecytyna), kompleks enzymów (amylaza, proteaza, celulaza, laktaza, lipaza). The original formula based on BCAA (ratio of 2: 1: 1) supplemented with beta-alanine and vitamin B6. It protects the body FOR IN okołotreningowy catabolism and increases the overall efficiency of the body! Bet on the quality and efficiency! Advanced combination of branched chain amino acids (L-leucine, L-isoleucine and L-valine). Reduces catabolism, it supports the regeneration of the body - even after a hard workout! The product containing a five very important for the body load exercise, the amino acid - accelerates regeneration, inhibits catabolism, supports anabolism.